The NFL Extra Points Credit Card, issued by Barclaycard, is a cash back credit card with no annual fee. It’s designed to reward NFL fans for their loyalty through accelerated cash back earnings on NFL and team purchases, discounts at the NFL’s official Internet shopping portal, and special financing on NFL ticket purchases. 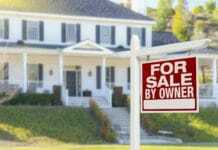 It also provides a reasonable cash back rate on general spending and has a solid sign-up bonus worth $100. The NFL Extra Points Credit Card is most directly comparable with other sports-themed cash back credit cards, such as the NHL Discover it Card and the MLB BankAmericard Cash Rewards MasterCard. However, for practical purposes, it’s also comparable to a host of other no-annual-fee cash back credit cards, including Barclaycard CashForward™ World Mastercard® (note: this offer is no longer available) and Chase Freedom. It is worth nothing that like some (but not all) fellow cash back credit cards, the NFL Extra Points Credit Card doesn’t require stellar credit. Applicants with good credit are encouraged to apply as well. When you spend at least $500 within 90 days (3 months) of opening your account, you get 10,000 bonus points. That’s enough for $100 cash back. The NFL Extra Points Card uses a points-based system to keep track of cash back earnings. Points have a flat rate of $0.01 apiece, no matter how they’re earned. NFL and team purchases earn an unlimited 2 points per $1 spent, for an effective cash back rate of 2%. This category includes purchases made at NFL stadiums, NFL ticket purchases, NFLShop.com purchases, and team pro shop purchases. Purchases made with DirecTV, which has a close relationship with the NFL, also earn an unlimited 2 points per $1 spent. All other purchases earn an unlimited 1 point per $1 spent, for an effective cash back rate of 1%. You can redeem your accumulated cash back for checking and savings account deposits, statement credits, or certain football-related purchases (including NFL merchandise, pro shop gift cards, and special team experiences). The redemption minimum is 2,500 points ($25). When you pay for NFLShop.com discounts with this card, you automatically get a 20% discount. This card offers special 0% APR financing on NFL ticket purchases made direct with team ticket offices. The special rate applies for six months from the purchase date, after which your regular purchase APR applies. You can customize your NFL Extra Points Credit Card’s face with your favorite NFL team’s logo and colors at no charge. There is no annual fee. The foreign transaction fee is 3% of each transaction amount. Balance transfers cost the greater of $5 or 3%, while cash advances cost the greater of $10 or 5%. Late and returned payments cost $37. The NFL Extra Points Credit Card has a 0% APR on balance transfers, good for 15 months after you open your account. There is no 0% APR purchase promotion (other than the special ticket financing deal). This card comes with a free FICO score, so you can track your personal credit without leaving your account dashboard. NFL Extra Points cardholders get complimentary concierge service, which includes advice and assistance with booking dining, entertainment, and other events. This card requires good to excellent credit. Any major credit blemishes, or an accumulation of minor dings, could disqualify your application. However, your credit does not need to be flawless. No Annual Fee. The NFL Extra Points Credit Card doesn’t charge an annual fee. That’s great news for cardholders who don’t plan to use the card often enough (and thus rack up the rewards fast enough) to offset a recurring charge. Great Balance Transfer Promotion. This card’s 15-month 0% APR balance transfer promotion is great for new cardholders who wish to transfer high-interest balances from existing credit card accounts. 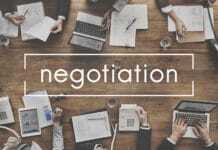 Many competing cards, such as Capital One Quicksilver Cash Rewards Credit Card and Discover it, have balance transfer promotions that last for 12 months or less, and some lack such promotions altogether. Deep Discounts at NFLShop.com. 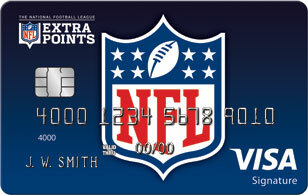 The NFL Extra Points Credit Card provides a flat 20% discount on purchases made at NFLShop.com. For serious fans who frequently purchase team clothing, gear, and accessories, this benefit can be worth hundreds of dollars over the life of the card. By contrast, NHL Discover it Card only offers 10% off at the NHL’s official gear portal. Bonus Cash Back for NFL, Team, and DirecTV Purchases. This card’s cash back rate doubles on NFL, team, and DirecTV purchases. Competing sports cards, such as NHL Discover it and MLB BankAmericard Cash Rewards MasterCard, don’t offer special cash back earning rates on sport- or team-related purchases. Promo APR for NFL Ticket Purchases. NFL tickets are super-expensive. According to MainStreet, the average NFL ticket’s face value is $84. Prices for the most popular teams, such as the New England Patriots, are significantly higher. And ticket markups on the secondary market can be enormous – sometimes several hundred percent of face value. With this in mind, the ability to finance NFL ticket purchases at 0% APR for six months is a huge deal, particularly if you’re buying season tickets or multi-game packages. Good Sign-Up Bonus. This card has a solid, easily attainable sign-up bonus: $100 when you spend $500 in 3 months. That’s better than the Discover it family of cash back credit cards, which don’t have formal sign-up bonuses (though they do double first-year cash back). Doesn’t Necessarily Require Excellent Credit. This card doesn’t necessarily require excellent credit – applicants with good credit are encouraged to apply. Many other cash back cards, such as those issued by American Express, are stricter on this point. No General Purchase APR Promotion. The NFL Extra Points Credit Card is one of the few cash back credit cards without a general purchase APR promotion. Only NFL ticket purchases qualify for the card’s 0% APR deal, and only for six months. Relatively Few Fringe Benefits. Aside from the FICO score and concierge service, this card doesn’t have a ton of fringe benefits. That’s a drawback relative to American Express’s cash back cards, which come with more robust travel and purchase protection benefits. Base Cash Back Rate Is Low. This card’s baseline cash back earning rate is 1% – lower than competing cards such as Capital One Quicksilver (1.5% on all purchases) and Citi Double Cash Card (2% on all purchases). Potential Cash Back Earnings Capped at 2%. The NFL Extra Points Credit Card’s cash back earnings rate is capped at 2%, even in favored spending categories. By contrast, some competing cards – such as NHL Discover it and Chase Freedom – have 5% cash back categories that significantly boost earning power. Likewise, MLB BankAmericard Cash Rewards MasterCard returns 3% cash back on gas purchases. The NFL Extra Points Credit Card is a straightforward cash back card with multiple benefits for serious NFL fans. If you regularly purchase team gear or attend NFL games, it’s definitely worth your while to apply for this card, even if you only take it out when you’re indulging your football habit. That said, the NFL Extra Points Credit Card’s customized card face means you can’t hide your allegiance to a particular NFL team – nor to the game of football itself, which is increasingly controversial in some corners. If you’re reluctant to show your loyalties in public, consider keeping this card in a back fold of your wallet – or leaving it at home until you’re ready to make a football-related purchase. The NFL Extra Points Credit Card has a great slate of benefits for football fans, including discounts on football-related purchases and special financing on NFL tickets. With no annual fee, there’s no compelling reason for football fans with solid credit not to apply. On the other hand, if you don’t watch (or spend money on) football, other cash back cards have better overall earning rates and sweeter fringe benefits. This card’s solid sign-up bonus, low-key credit requirements, multiple ways to save and earn on NFL purchases, and lack of an annual fee are all great benefits. The fact that there are relatively few fringe benefits, no general purchase APR promotion, and limits to cash back earning all hurt its prospects. Overall, it’s a great cash back card for football fans, but there are better cards for everyone else.